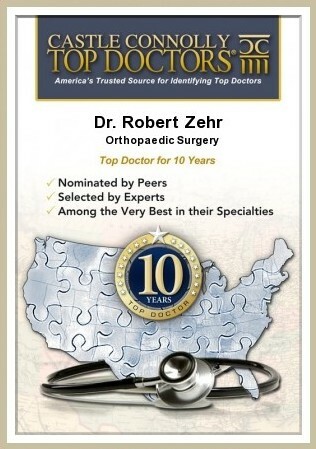 Non-surgical treatment for ACL injuries - Orthopedic Surgeon For Hip, Knee Surgeries at Zehr Center In Naples Florida. Non-surgical treatment for ACL injuries focuses on decreasing the pain and swelling in your knee, beginning with rest and mild over-the-counter pain medications such as Tylenol. Your knee joint may need to be drained, in order to remove any blood in the joint. You will most likely be instructed to put a normal amount of weight on the injured leg while walking, and may need to use crutches until you can walk without a limp. The nonsurgical treatment of your ACL injury may continue with physical therapy. Therapists use ice, electrical stimulation, and rest periods with your leg supported in elevation to treat swelling and pain. To help you regain normal movement of your joints and muscles, you will be given a set of range-of-motion exercises. These exercises should be started right away, with the goal of helping your quickly regain full movement in your knee. You may be instructed to use a stationary bike. The therapist will apply gentle stretching and careful pressure to your knee during the course of your exercise regimen. You will also be given exercises to strengthen your hamstring and quadriceps muscles and as your symptoms ease and strength improves, you will be guided in specialized exercises to improve knee stability. The progressive physical therapy and rehabilitation can restore the knee to a condition close to its pre-injury state. The program typically requires six to eight weeks. The therapist may suggest that you wear an ACL brace. This is not the type of brace you buy at the drugstore, but rather it is one that is custom-made and is designed to improve knee stability. The brace may help keep your knee from giving way during moderate activity, but it can also give you a false sense of security. It will not always protect your knee during sports that require heavy cutting, jumping or pivoting. If the symptoms of instability are not controlled by a brace and rehabilitation program, then surgery may be suggested. Further degeneration of the knee and knee osteoarthritis can occur if the condition is left untended, and may eventually require knee replacement surgery. 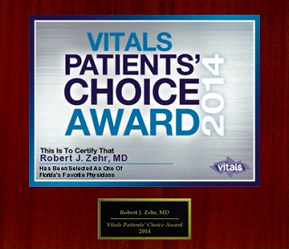 Dr. Zehr is Southwest Florida’s most skilled and experienced surgeon in total knee replacement surgery. Using custom aligned knee replacement techniques, including the new Verasense sensor-assisted integrated knee system from OrthoSensor, Dr. Zehr is the best orthopaedic surgeon to perform your knee replacement surgery. If you, or someone you know, has suffered an ACL injury, call us at (239) 596-0100.